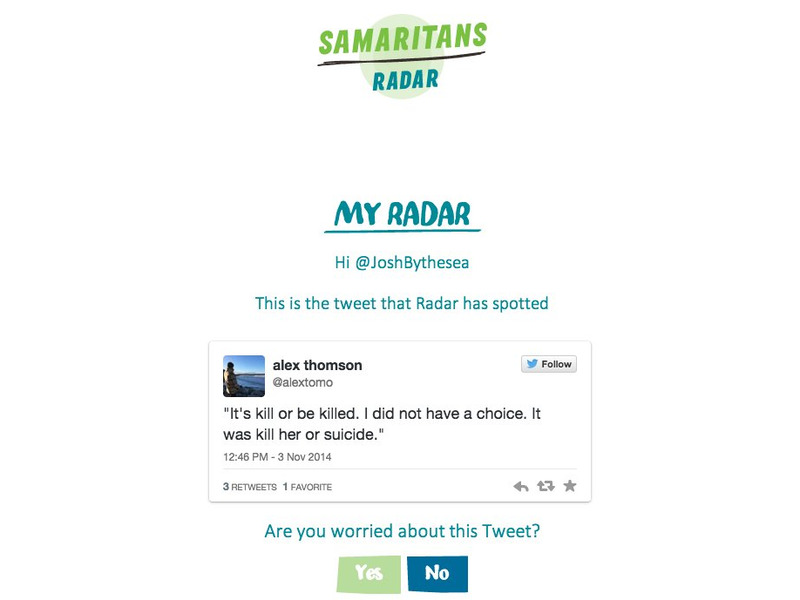 The new Twitter app “Samaritans Radar” has been the subject of much commotion in its opening week — and the inevitable hashtag #SamaritansRadar has been trending in the UK on the social media site for days. 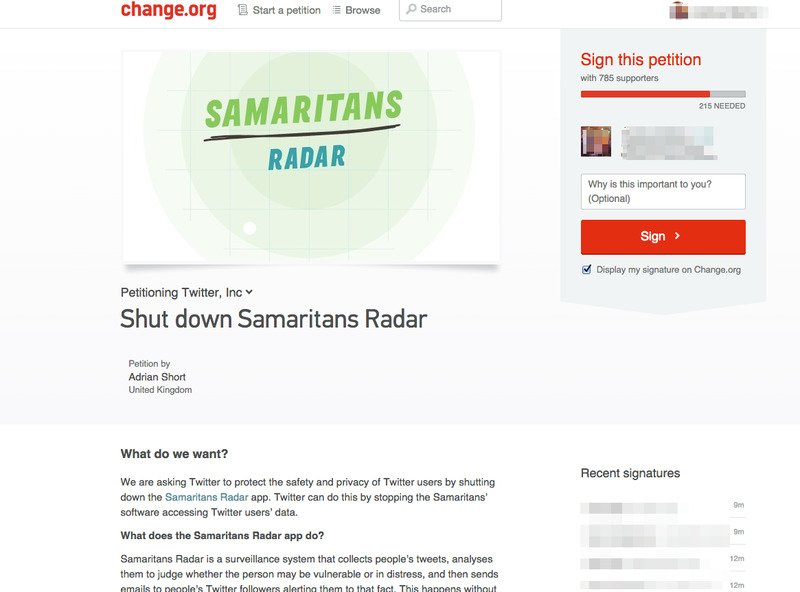 It’s the creation of suicide prevention charity Samaritans in a move to go digital. 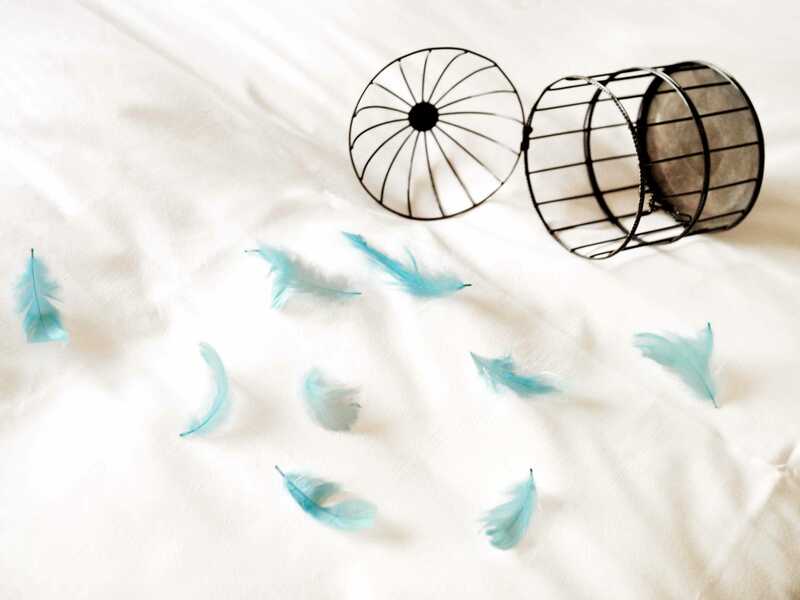 It has Millennials (Generation Y, those aged between 18-35) in mind. Tapping into Twitter’s API, its service uses an algorithm to find specific words or phrases within tweets that might be clues to suicidal thoughts. If someone you follow on Twitter, for example, sends out “I’m in a dark place right now”, the app will spring into action and a subscriber will be alerted and advised about the situation. But problems are cropping up, such as the app picking up song lyrics or quotes rather than actual calls for attention. And other people are suggesting the app could be used by stalkers. And others are picking more faults with the app, the BBC reports. One internet privacy and freedom campaigner, Adrian Short, even created an online petition to block it from using Twitter’s data to operate. 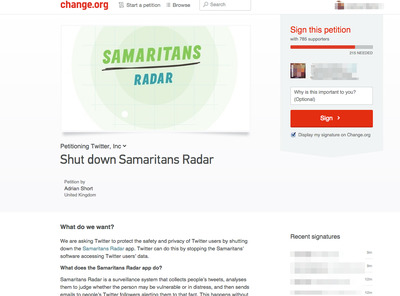 On Sunday, when the Change.org protest went live, the organisation’s executive director of policy, research and development, Joe Ferns, said Samaritans Radar has had a positive response and more than 3,000 have subscribed. Ferns says the team is looking into the issues raised. 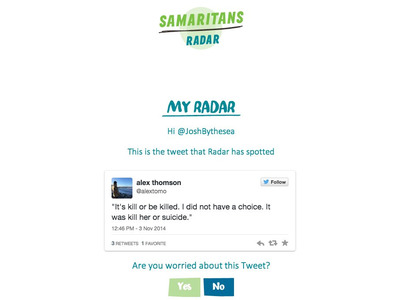 And importantly, according to the charity, Twitter supports Samaritans Radar as part of a “wider collaboration”.